Tcom Group has announced the setting up of the Dubai Science Park (DSP), the umbrella entity for the Dubai Biotechnology & Research Park (DuBiotech) and the Energy and Environment Park (EnPark). Tecom said the move reflected its commitment to drive innovation in science. “Dubai Science Park will continue to support both SMEs and global firms looking for a regional base for their Middle East operations by facilitating a bespoke yet vibrant community. It will create a holistic environment for organisations across the life sciences and energy industries, by continuing to offer flexible, bespoke products and services for every facet of the science sector,” said a Tecom statement. DuBiotech, established in 2005, supports Dubai’s vision to transform the emirate into a knowledge-based economy and develop the region’s life science sector. It has grown into a thriving community of over 230 business partners including global industry players Pfizer, Amgen, Bristol-Myers Squibb, Maquet, Firmenich and IFF. EnPark, founded in 2007, is recognised for its work in the field of sustainability and the development of environmental products and initiatives, winning a number of high-profile awards such as the “UAE Green Brand” in 2012. As a founding member of the Dubai Green Energy Partnership, EnPark has remained at the forefront of development in green energy, conservation and R&D. 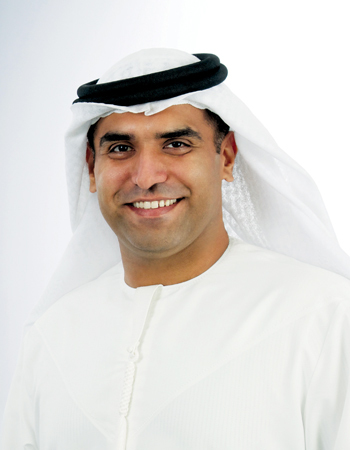 Commented Marwan Abdulaziz, executive director, Dubai Science Park: “DuBiotech and EnPark have been successful business communities for many years. However, as they have evolved, we have seen the opportunity to further drive growth and development and as such, we have combined the entities to achieve greater innovations and serve the wider business community.